New. 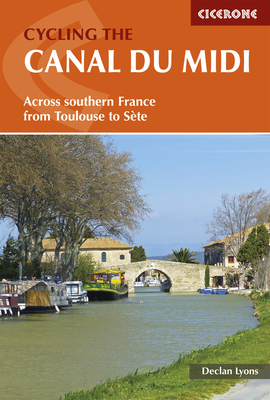 Guide to cycling the Canal du Midi in southern France, 240km from Toulouse in the Haute Garonne to Sete on the Mediterranean Coast. The flat, picturesque route is divided into five stages, each around 50km long. Includes detours to sights close to the canal as well as longer excursions, including Narbonne, Minerve, Carcassone and Beziers. Num Pages: 192 pages, 30 maps, 80 colour photos. BIC Classification: 1DDF; WSQ; WTH. Category: (G) General (US: Trade). Dimension: 172 x 116 x 11...2017. 2nd Edition. Paperback.....We ship daily from our Bookshop.